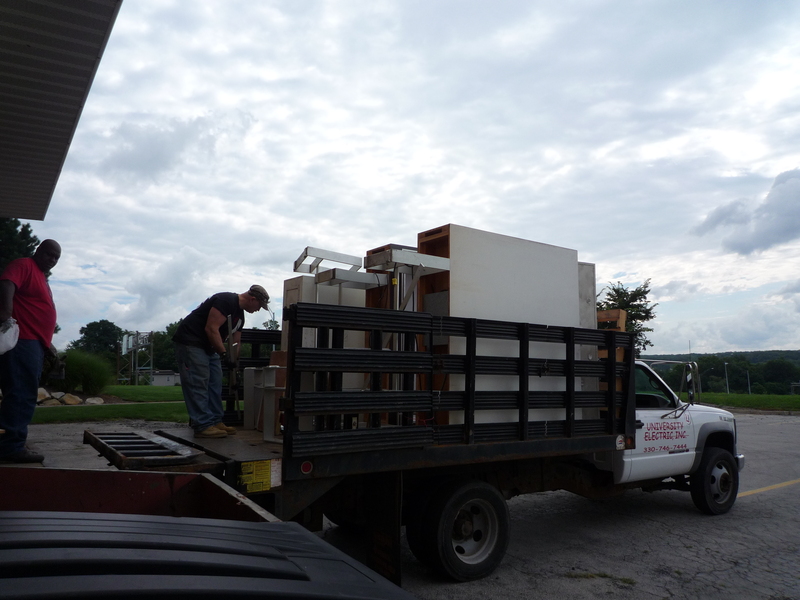 The museum is in the first stage of a long process to relocate the museum to another building on the campus of Youngstown State University. 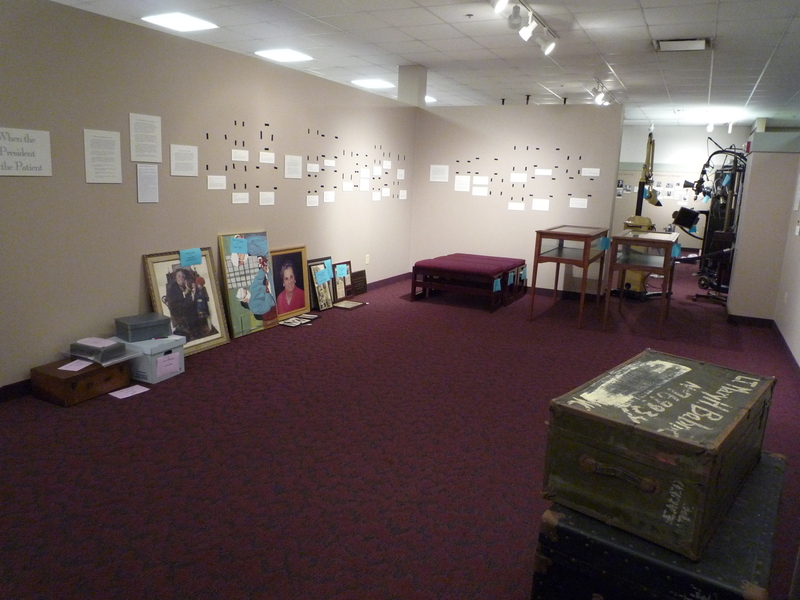 The exhibits have been “deinstalled” and some of the small components and artifacts have been carefully packed in archival (acid free) boxes. Now we are waiting for the professional movers to help us finish the packing and physically move everything into the assigned storage spaces. 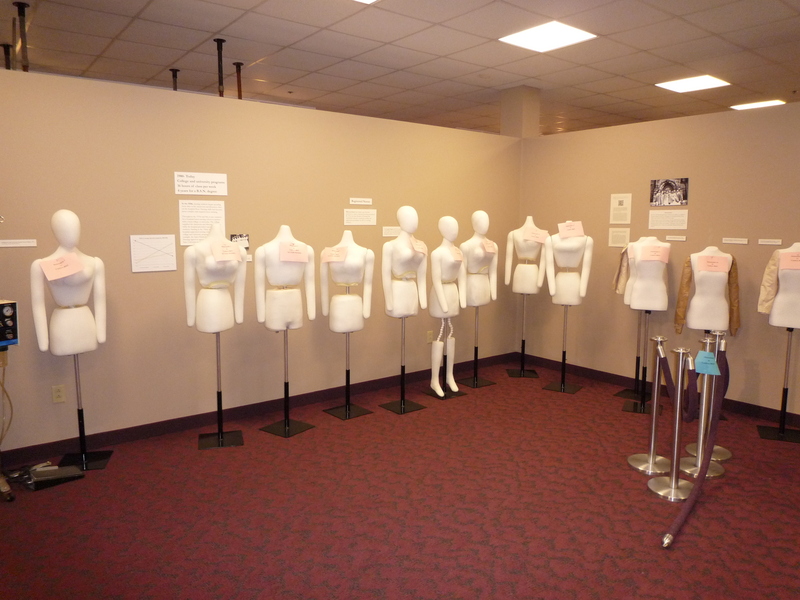 We are fortunate that the museum’s new building (Cushwa Hall) is undergoing a renovation this summer and we were able to create several new display spaces throughout the building. This will allow the museum to have a presence on campus while the majority of the collection is in storage and then increase awareness of the museum once it reopens. 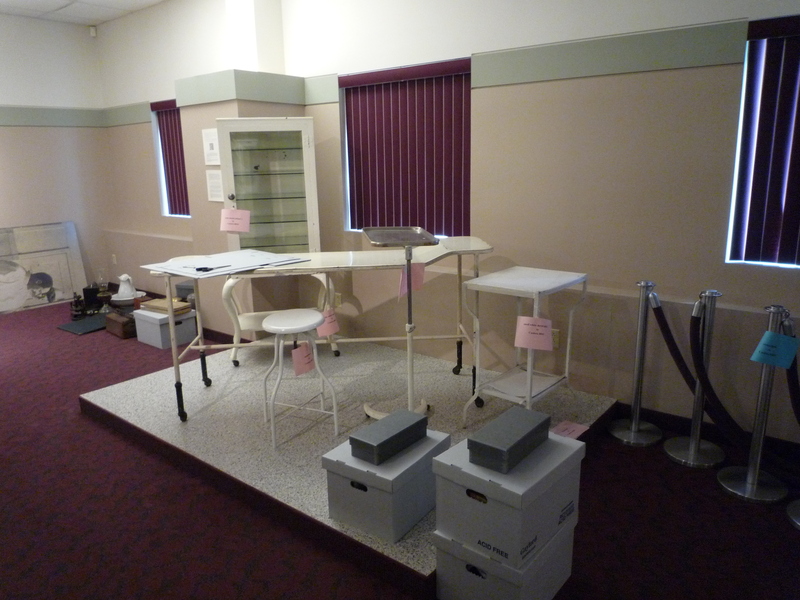 These small display spaces will also be perfect for small, temporary exhibit projects (that we anticipate doing with academic departments, outside groups, or for special occasions) and allow the museum to have spaces for exhibits on a wide variety of subjects that rotate often. Two of these new display spaces were made by re-using some of the existing cases at the museum. 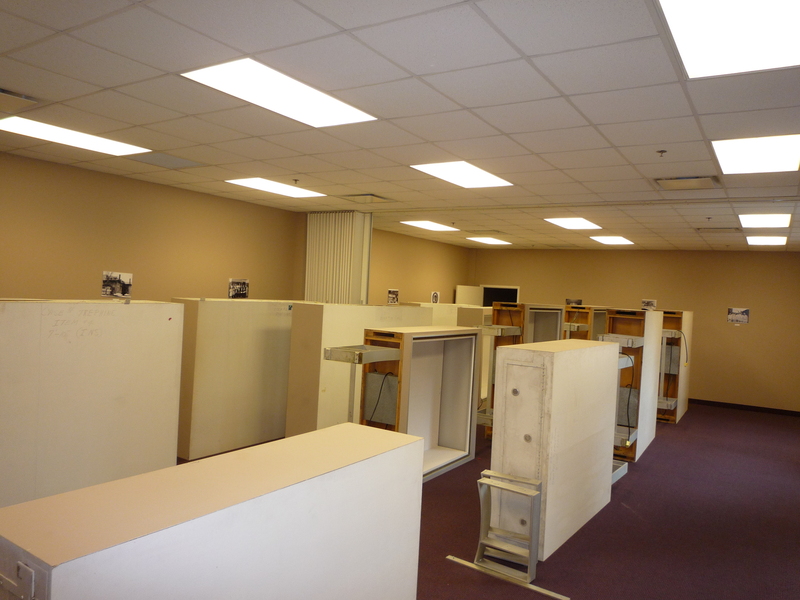 These cases were refaced to match the new interior of the building and cleaned up. A third space will have a newly constructed custom case by Museum Acrylics. This will be large enough to display several mannequins- how exciting! Next Post New display areas!